Many of our patients are surprised to find out how much their weight can impact their ability to conceive. In fact an estimated 12% of all infertility issues are weight related and maintaining a healthy body mass index (BMI) is one of the most helpful things you can do to enhance your fertility. If you are chronically malnourished or underweight your body may go into survival mode and you may produce less estrogen. This means that you are not able to build a follicle and may ovulate erratically or not at all. Low estrogen levels also lead to reduced fertile cervical mucus which can also be a problem for women trying to conceive. We all know that women who are suffering from anorexia nervosa often don’t have periods but did you know that you only need to be 10% underweight to adversely affect your hormones? The good news for most women is that they don’t need to put on lots of weight in order to get pregnant. For many of my patients it’s as little as 2 or 3 pounds which can make all the difference. In Chinese medicine underweight women fall into a category we refer to as yin deficiency. Yin is the Chinese term for those aspects of your body that are about substance and nourishment. Women who are yin deficient exhibit signs of estrogen depletion such as hot flashes, insomnia, light periods and reduced cervical fluid. At The Yinova Center we will give you Chinese herbs that supplement yin as well as helping you to change your diet. 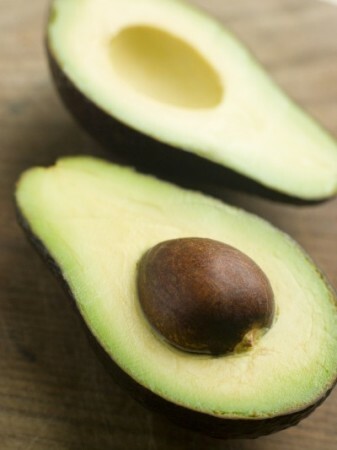 Specifically we ask our underweight patients to increase their consumption of healthy fats such as those found in olive oil, avocados, nuts, seeds and oily fish. We also suggest that you increase your consumption of plant estrogens by eating some soy products and flax seeds. In overweight women infertility is usually related to erratic ovulation. Fat cells release estrogen which inhibits FSH (follicle stimulating hormone) production which can prevent ovulation. In Chinese medicine these women are classified as yang deficient with yang referring to all the aspects of your body’s function that relate to movement, activity and transformation. Women who are yang deficient have slower metabolisms than other women. At The Yinova center we will give you Chinese herbs that tonify yang and help you to plan a sensible weight loss regimen. We will also ask you to limit your intake of plant estrogens found in tofu and soy milk. The good news is that you don’t need to slim down to a size 2. Clinical research has shown that 60% women who lose just 5-10% of their overall bodyweight resume regular ovulation. You’ll find some helpful articles on this blog including one on foods for fertility and article on fertility and fats and some health recipes such as this one. But please also feel free to ask us for help. You’ll find us a non-judgmental bunch when it comes to weight. As women, many of us here at The Yinova Center have struggled with our own weight. Some of us have been too thin and some, myself included, have been overweight. We are happy to share with you what has worked for us.